Fiesta-Si.com :: View topic - My Fiesta Si Respray now! Primer set, more pictures to come! 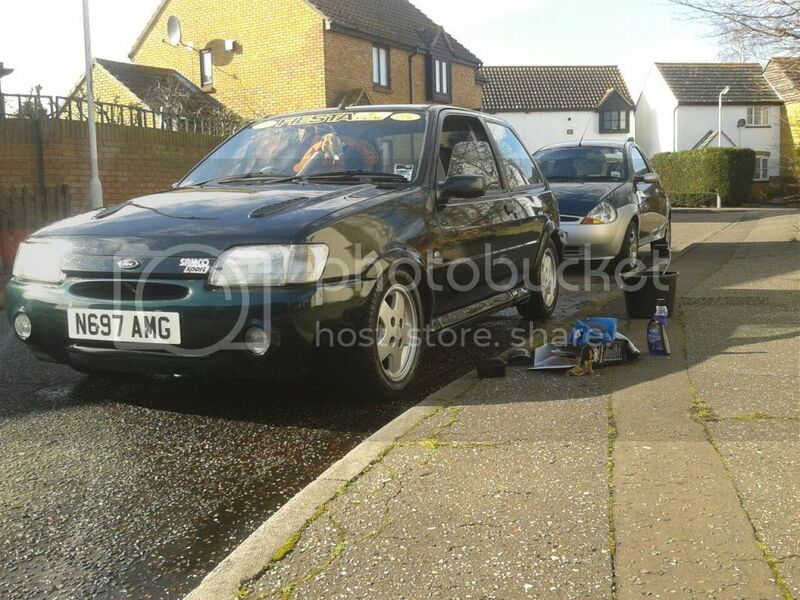 My Fiesta Si Respray now! Primer set, more pictures to come! Post subject: Re: My Fiesta Si purchased standard. Mint. Looks really good, keep up the progress. so andy when are you waxoiling the car so more rust doesn't come through? The Si respray starts on Friday!! Kymie86's bro is leading this, i'm lending a hand! Here some photos now after Kymie86 (my lovely KA lady) waxed my car up, and boys she sure can wax an Si!! Kims KA in the background, resprayed 2011. Looks lushhhhhhh. 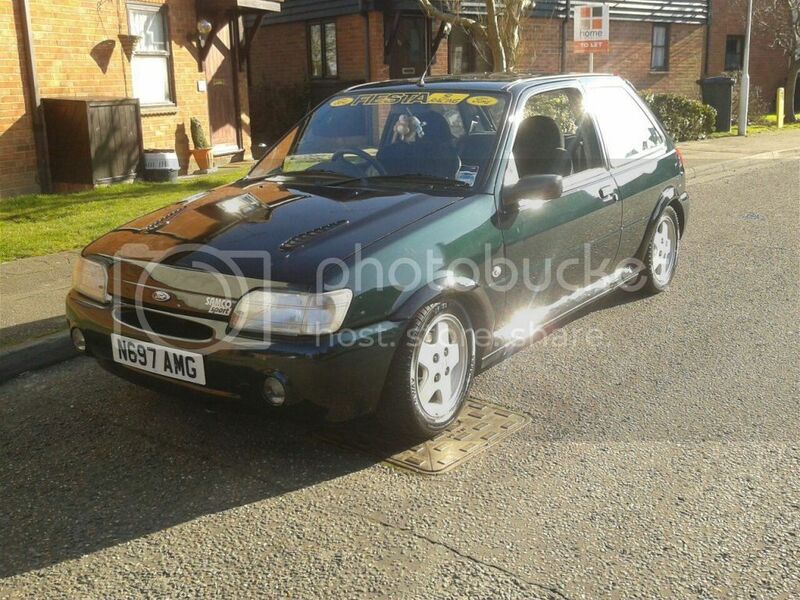 Although imo, it would look better without the ford sunstrip and without the samco sticker! Buuuuhhh I want another Si.